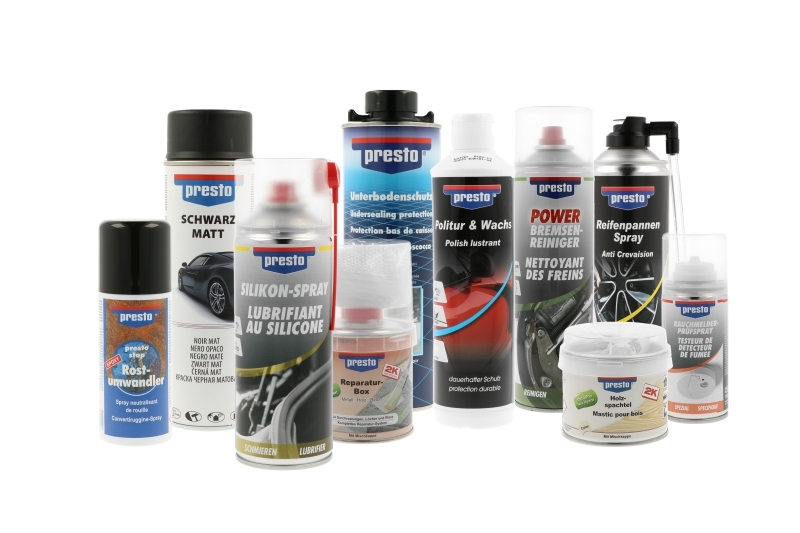 The presto range of products, together with the spray paints mady by MOTIP DUPLI, is the perfect repair system and thus offers a highly competent assortment for pre-treatment, underbody coating, cleaning, protection and car up to lacquers - everything from once source. But not only at the vehicle, even around home and garden you'll find numerous applications for repair and conservation of value. Whether scratches or grooves, cracks or breaks, squeak or creak - here you surely find what you need.